Soft and lovely dark blue sweater that will keep your dog warm and stylish. 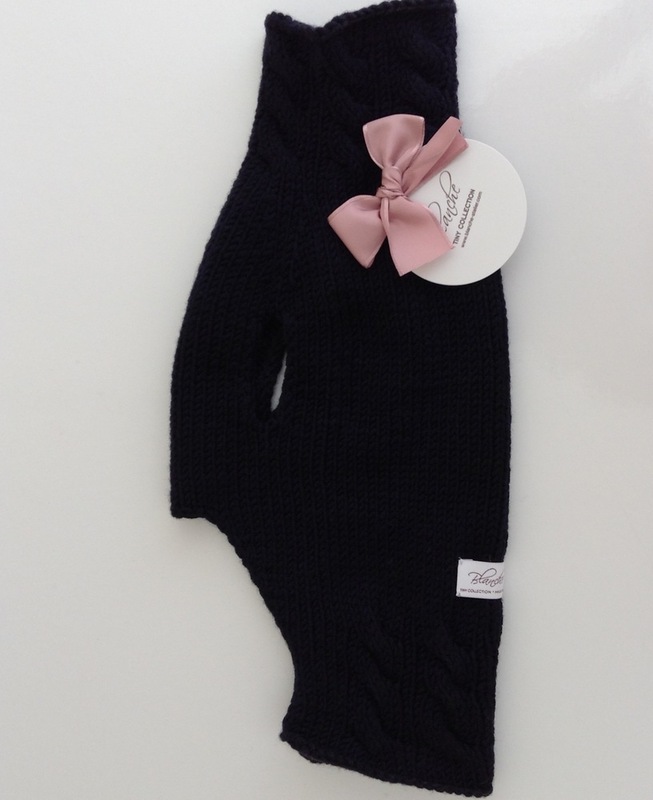 Handmade of pure merino wool. Small braids design on the neck and border. A straight and fitted look. 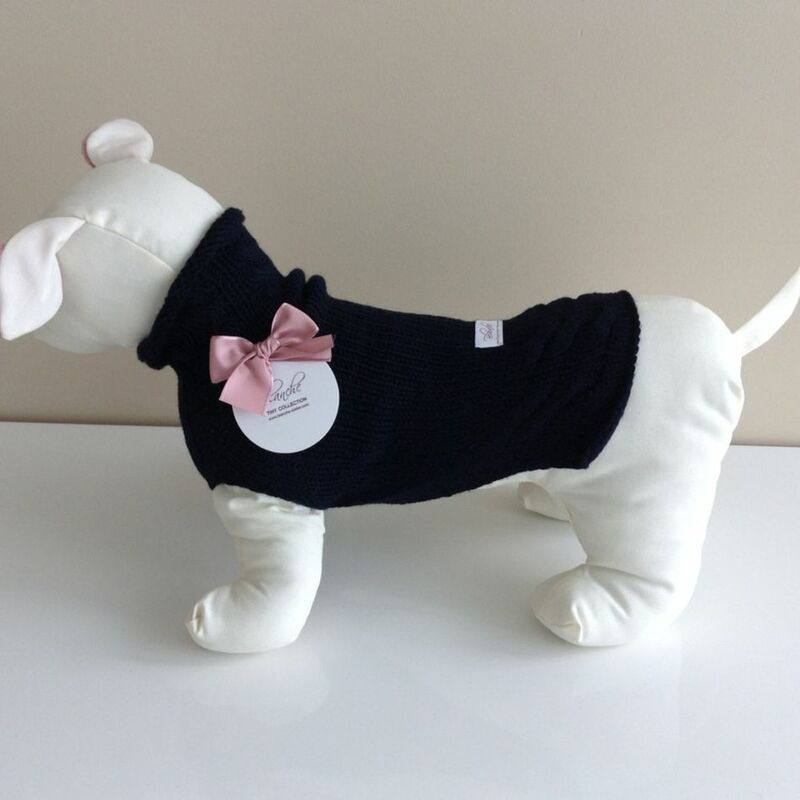 Blanche Couture is an Italian designer of luxury dog clothes.